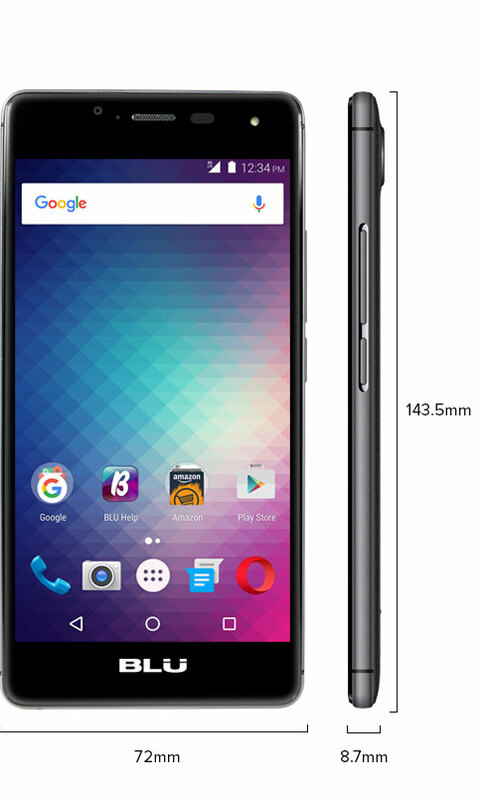 BLU R1 HD comes with 4G LTE bands 2(1900MHz), 4(1700 MHz), 7(2600 MHz), Band 12(700MHz), and 17(2100MHz) and 3G bands 850/1700/1900/2100. 4G LTE band 12(700 MHz) will be available via OTA (Over-the-air) update shortly after launch. 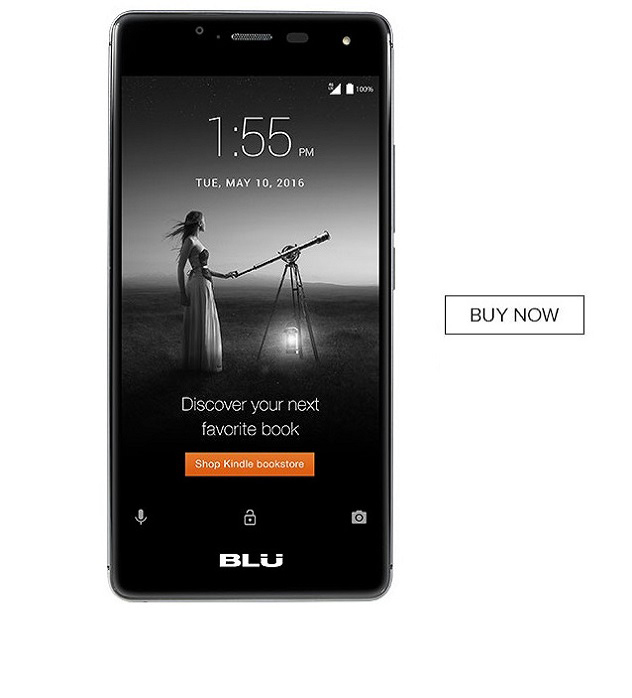 The BLU R1 HD blends technology and design into an incredible package. Incorporating the highest-grade material such as a curved glass touch panel ensures excellent feedback and feel, as well as a gorgeous look. A metal trim runs the perimeter of the middle housing for a sophisticated finish. State of the art paint technology coats the battery cover in a super smooth finish that ensures the back cover is soft to the touch and provides a great hand held experience. 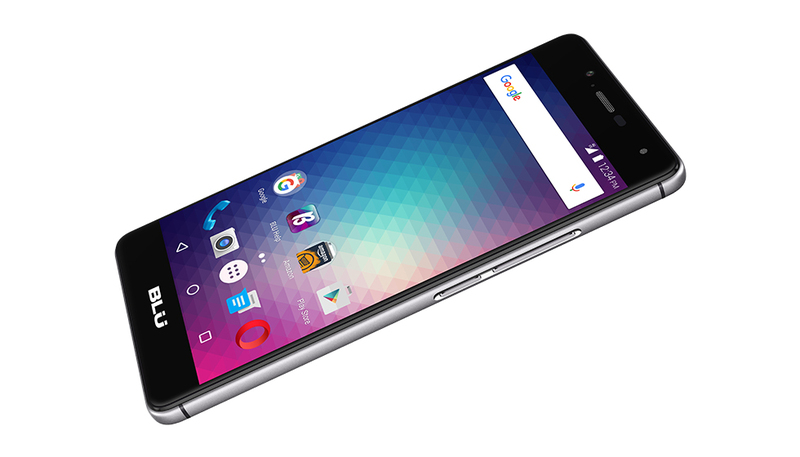 The BLU R1 HD display will give you an immersive view from every angle. The curved display elevates the smartphone’s visual experience to a new level of stunning graphics and life-like colors that seem to jump of the screen. A vivid screen, 1280 x 720 pixels result in a 294 ppi combined with over 420 nit display will make this smartphone perfect for you. Corning Gorilla Glass 3 will give your smartphone an extra layer of protection against scratches, cracks and breakage. The MediaTek 6735 1.3GHz Quad-Core processor is works seamlessly with two varieties; One sporting 8GB of internal memory to store your movies, music, and pictures coupled with 1GB RAM. The second variant has double the memory and RAM, 16GB + 2GB, to get an impeccable experience each and every time you use your R1 HD. The internal storage is expandable up to 64GB via Micro SD card. Rest assured that with the main 8 Megapixel Autofocus camera, f2.0 aperture, and 4P Lens all your pictures will be as perfect as you expect them to be. Record up to 1080p HD videos for lasting memory. For selfies, you can trust the 5 Megapixel wide-angle front camera for premium shots. The built in BLU Final Touch Software will enhance your eyes, slim your face and smooth your skin. Your selfies will be flawless. With the built in LED flash on the front and back, you can take pictures in a dark environment with ease. 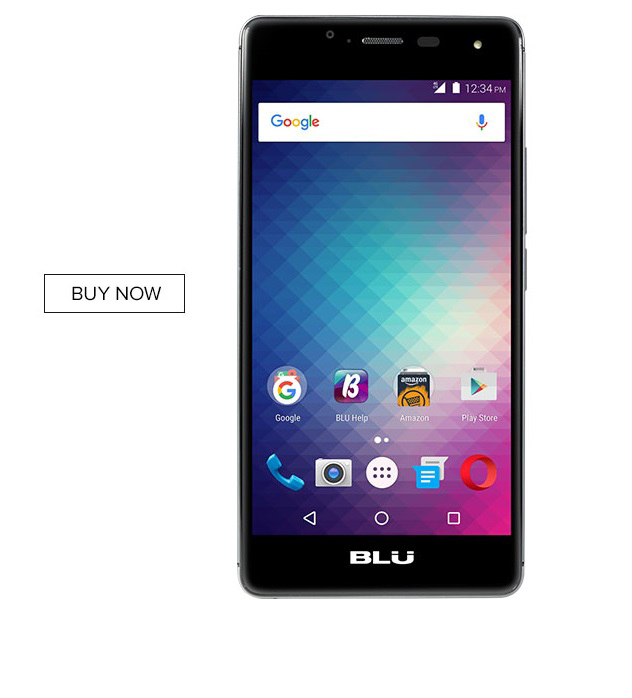 Whether it is a personal number and a business number or a personal number and an international sim, The BLU R1 HD has dual sim capabilities that allow you to have two phone numbers in one device. Use your smartphone with any GSM network provider worldwide, an unlocked phone gives you freedom to easily switch to any cellular carrier with better rates or service. With an unlocked device, you have the freedom of choosing which gsm network carrier works best for you all by staying connected with friends and family while traveling across the country. The R1 HD comes with 4G LTE 2/4/7/17 so you can have coverage across the entire United Sates. This device comes with the same specs as the R1 HD but has an integrated Amazon experience that includes lockscreen offers and ads. The Prime-exclusive version displays offers and ads, including personalized deals and product recommendations, on the phone’s lockscreen while providing you full access to your personal notifications. Just tap the offer to learn more, swipe or unlock to dismiss. This phone comes preinstalled with popular Amazon apps providing Prime members seamless access to their Prime benefits, including thousands of movies and TV shows with Prime Video, over one million songs with Prime Music, unlimited photo storage and backup, free 2-day shipping, and more. You can shop a personalized selection of Amazon’s daily deals right from the second home screen.